This year, everyone is getting on Godzilla: King of the Monsters hype and Sony Home Entertainment is no exception. 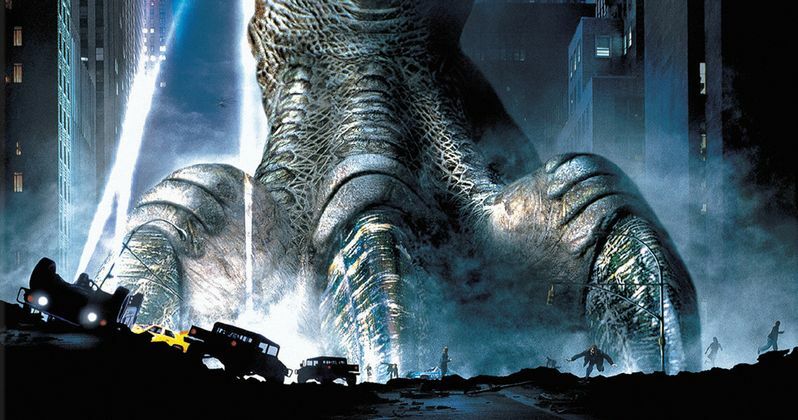 Godzilla, the action-packed 1998 monster spectacle from Roland Emmerich and Dean Devlin, the filmmaking team behind Independence Day, debuts on 4K Ultra HD™ May 14 from Sony Pictures Home Entertainment. Matthew Broderick (Ferris Bueller's Day Off) and Jean Reno (Léon: The Professional) team up as the unlikely heroes out to save New York City from the giant, fire-breathing monster and its babies hatching in Madison Square Garden. Fully remastered in 4K from the original camera negative with High Dynamic Range, Godzilla on 4K Ultra HD also includes new earth-shaking Dolby Atmos sound. The 4K Ultra HD disc also includes three trailers, including the original iconic teaser! Following French atomic bomb tests in the South Pacific, an unknown creature is spotted passing through the Panama Canal. Scientist Niko Tatopolous is called in to investigate the matter, and he quickly arrives at the conclusion that a giant, irradiated lizard has been created by the explosions. Godzilla then makes its way north, landing in Manhattan to begin wreaking havoc in the big city. Godzilla has a run time of approximately 139 minutes and is rated PG-13 for sci-fi monster action/violence.